I hope you all had a great, fun and warm Thanksgiving! As I said in my last open letter, these letters are just my way of let you all know how my life has been going. One thing that has helped me get through my own challenges with anxiety is doing my best to be reflective- and that is what these letters allow me to do. These letters are for anyone to read, and anyone to respond to if they wish to! Feel free to write back through email or post comments, or PM me on my Facebook page! Thanksgiving was so perfect- it was a break after working so long and hard this last week. Like I mentioned in my last post, every Thanksgiving my family does this thing where we all make one dish for our family meal. This year, I made a salted pecan caramel cheesecake, and it was DELICIOUS. Here is the recipe I used, in case any of y’all want to try it! We had so much food on the table for Thanksgiving: Turkey and gravy, BBQ sweet potato sliders (a vegetarian twist so that everyone could have them), candied yams, corn and potato patties, cranberry sauce, mashed potatoes, brussel sprouts, and of course, CHEESECAKE. The best part about it though was sitting down to eat with my family and friends. We spent all of yesterday and some of Thursday night shopping, which is sort of a tradition for my sister, my mom and I. I know a lot of people who really don’t appreciate that stores open on Thursday night, or the fact that Black Friday is such a huge crazy day when the day before is supposed to be spent giving thanks for all of the people and things that you have in your life. The only reason I do it is because I (usually) don’t buy all that much throughout the year, so I let myself have Black Friday. And, it means getting to spend a day having fun with my mom and my sister, and this year, our friend too! But besides Thanksgiving all of the holiday fun from this weekend, this weekend I also spent a lot of time thinking about that book I mentioned I wanted to write in last week’s letter. Again, I know that trying to publish a book any time soon would be crazy at this point in my life, since I have so much going on already. But I guess I started thinking about what I wanted to write since Christmas is right around the corner. I’ve been a Hindu all of my life- I was raised by a family that is at least somewhat religious. But I did not grow in a place where Hinduism was prominent. My family celebrates Diwali every year, and every year my parents have at least one Satyanarayan pooja (a ceremonious prayer) and we also do Ganesh Chaturthi. But because I did not grow up having a lot of other friends who were also Indian and also Hindu, these never really seemed like the community events that they are in places where there are large Hindu communities. There are some schools and school districts in the United States that let people take days off for Diwali. But I’ve yet to hear about schools that give holiday breaks for the holidays of other religions, belief systems and cultures: Hanukkah, Eid, Chinese Lunar New Year, etc. I grew up singing Christmas music and planning and doing Secret Santa with my friends. Every year, we put up a small Christmas tree and give each other gifts just for the fun of it. For me, Christmas means trying to show my family and friends that I love and appreciate them through gifts. But I’ve always felt like I can’t really participate in celebrating Christmas because it is not a religiously significant holiday for me. The religious significance is a part of the holiday that does deserve its respect, and I just feel like by taking only part of the tradition and not all of it, I can’t give it the respect that it deserves. That’s why even though its fun for me to spend time with my family and friends, plan out and create gifts for them, it also is somewhat uncomfortable. I call the gifts that I give people during that time “holiday gifts” now, as in gifts for any holiday that might be important to the person that I’m giving my gift too. Because even if I don’t understand or celebrate Christmas for its religious significance, it is important to to stop and show people that you appreciate them as often as you can. This year, I’m a little extra excited because I’ll be making a lot of the presents I’m giving to people! I’ve been all over pinterest and several craft blogs looking for ideas, and I’m probably going to be brain-storming and shopping for supplies during the next two weeks, and putting together gifts during holiday break. During these next two weeks, I’m also going to planning out my resolutions for next year, including deciding how I’m going to move forward with this blog! 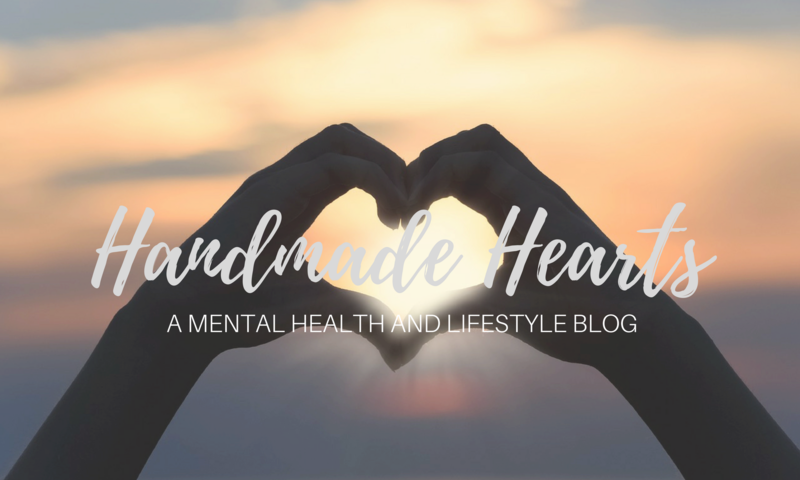 The most important thing for me with this blog was to somehow set up a community that was excited to talk about mental health. This blog is about seven months old now, and I think so far I’ve done an okay job of doing that. But one thing that I’ve realized is that blogging really isn’t about making yourself well-known (unless its a personal blog), but more about making your cause well-known, and making yourself a prominent voice in that cause. But I’ve also began to feel that some part of it should also be giving a voice to other people- with a blog centered around mental health, this is especially important, considering how stigmatized mental illness and seeking mental health care are. It’s been great seeing some people do that already, whether this means having guest blog posts, or sharing the blogs of others. I’m so excited for what is ahead! Next week, I might have some updates on my goals for next year, goals for my blog, and on holiday gift ideas! For now, you can check out some of this great website I’ve found for DIY gifts! Hi Rita! Thank you so much for sharing this with me! I’d love to start a conversation with you about this, as world hunger/global health in general is something that I’m really passionate about as well. If you email me at handmadeheartsblog@gmail.com, we can talk about this and I can help you spread this message! Thanks! I will email you! Looking forward to hearing from you! Take care!